Dear Santa, I just want to say thank you for Christmas in July I mean, what could be more fun than another chance to dream about, plan and shop for such an all-time favorite holiday! And with darling new holiday-themed temp-tations® available for pre-order, you’ll be making your list and checking it twice. 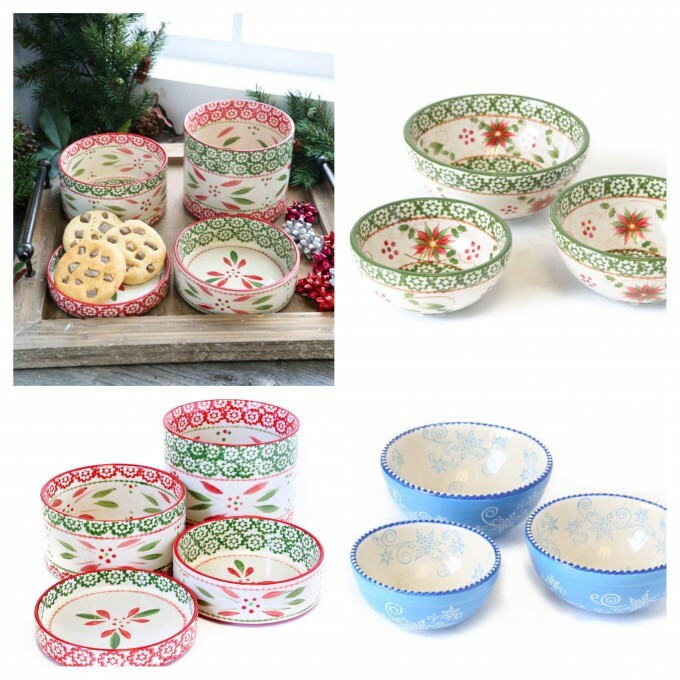 First up are my whimsical Nesting Mitten Bowls in all-new Old World Festive-fetti (new red & green combo) and Old World Poinsettia, as well as Floral Lace Winter and all-new Floral Lace Festive Winter (new red & green color combo with swirling snowflakes). 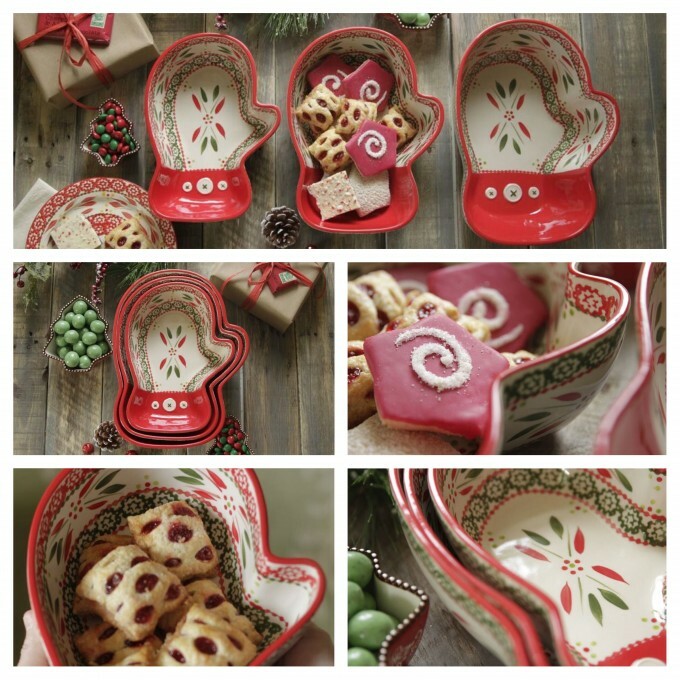 Similar to the Christmas Tree Stacking Bowls (that debuted last November on temptations.com and sold out almost immediately! ), these new mitten bowls are cheerful and oh-so functional. Featuring 1 qt., 2 qt. and 3 qt. bowls, the set is perfect for all kinds of casseroles, sides, dips, snacks and treats, and the adorable mitten shape will charm everyone from kids to grown-up kids alike. Another favorite new goodie is my set of Christmas Tree Measuring Sets in both Old World Poinsettia and Floral Lace Winter. 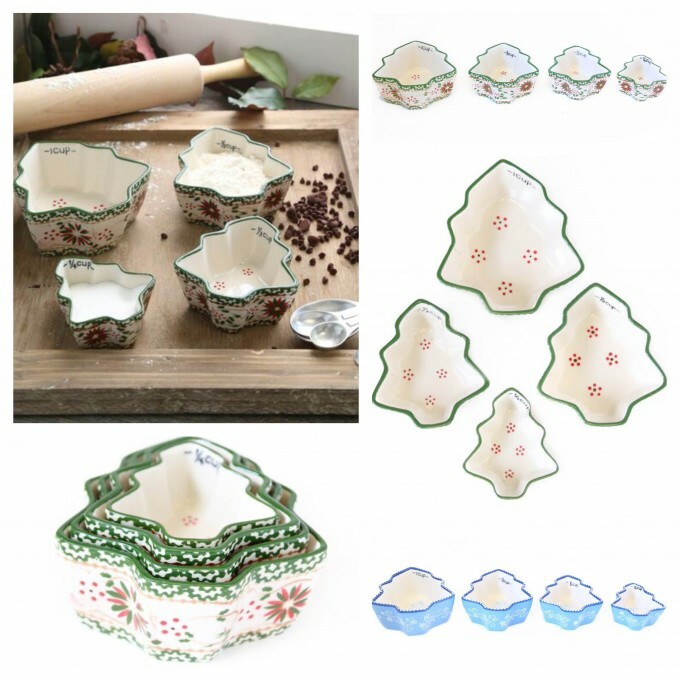 Wonderful for all of your holiday baking needs, the fanciful set features little Christmas tree-shaped cups measuring 1/4 cup, 1/3 cup, 1/2 cup and 1 cup. 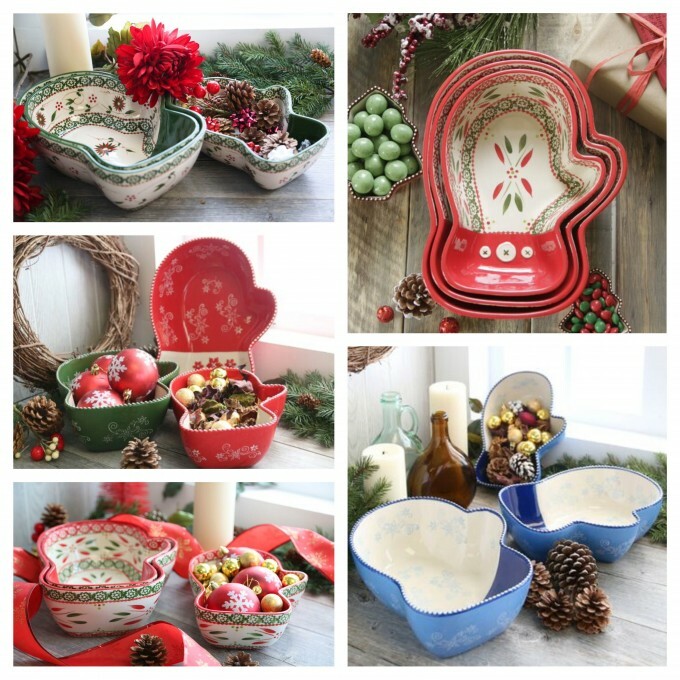 You’ll also love the holiday theme of my Set of 3 Nesting Prep Bowls now available in Old World Poinsettia and Floral Lace Winter, and the Old World Stack-a-Bowls in new Festive-fetti! They’re great for holding and displaying all kinds of toppings, condiments, ingredients, snacks and nibbles. I just love the fact that we can get excited about Christmas even in the middle of summer, and these new temp-tations® are a great way to spread the joy from now through December!